Give your websites, apps and documents a consistent and handcrafted visual style. Cut-outs are digital images that can be added to any document or website with ease. Hundreds of Cut-outs include people, buildings, gadgets, symbols, vehicles and more. 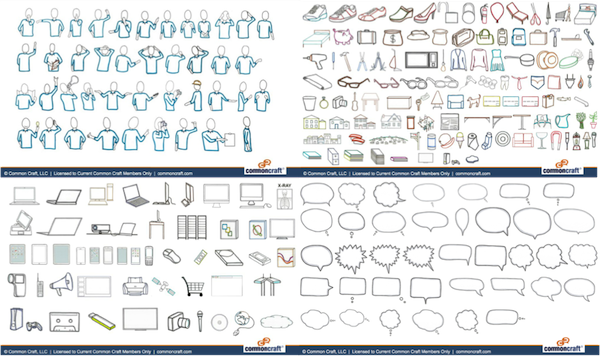 All Cut-outs are .png files that can be downloaded anytime and provided as PowerPoint and .ZIP files. Cut-outs provide an friendly and accessible alternative to overdone graphics. I mainly use Common Craft cut-outs to explain concepts using iPad apps. The cut-outs allow for great creativity without all of the hassles of creating the objects from scratch. I use the Cut-outs along with Adobe Captivate to create short introductory videos for my elearning courses. They're a big success! What do people do with Common Craft Cut-outs? Cut-outs are digital images (.png) that can downloaded and used in multiple ways. Many members use them to create their own "Common Craft Style" videos. Others use them to make presentations and documents more fun and interesting. How can I create my own "Common Craft Style" video? We encourge members to create Common Craft style videos. There are a couple of options. 1) We recently partnered with GoAnimate, an online tool for creating animated videos. Our library of Cut-outs are now available inside their system. We offer Common Craft members a 10% discount on GoAnimate membership and free access to the Cut-outs inside GoAnimate (normally a $59 upgrade). Learn more here. 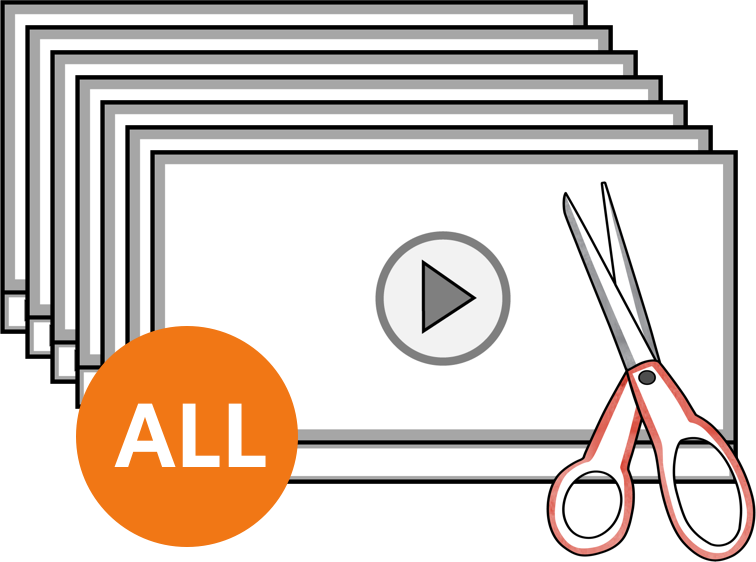 2) You can use our downloadable Cut-outs to make Common Craft style videos using a variety of resources like live-action video, powerpoint and screencasting. Can I share my own Common Craft Style videos on sites like YouTube? Yes. We only ask that you use the phrase "Common Craft Style" and not "Common Craft" as this is a registered Trademark. Can I make a Common Craft Style video about my company, product or service? Yes! This is a great use of the Cut-outs. But please note, no Cut-outs or videos made with Cut-outs can be resold. For example, you can make Common Craft Style videos about your own business, but cannot sell the videos.